Although Sweden’s General Surgery has been recording and releasing music since 1990’s Erosive Offals demo, March of 2009 sees the release of only their second full-length album, Corpus In Extremis: Analysing Necrocriticism (Listenable). Since the three-song Erosive demo was released, General Surgery has puked up numerous demos, splits, and EPs, including the classic Necrology 7″ on Relapse in 1991, and like most long-running bands, they’ve had their fair share of lineup changes, including appearances from members of fellow Stockholm residents Regurgitate and Dismember. 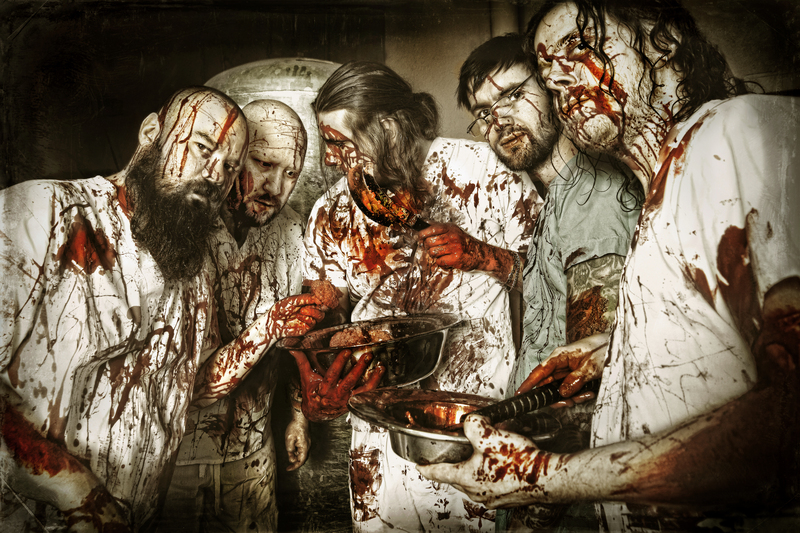 General Surgery’s burst-of-releases-followed-by-periods-of-inactivity regimen ended with their first-ever North American show at the 2005 Maryland Deathfest and their debut album, 2006’s Left Hand Pathology (Listenable). 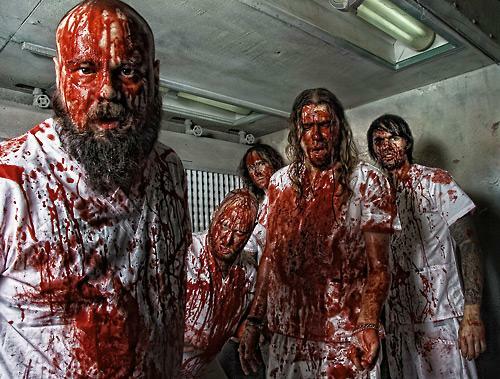 The title – a nod to classic Swedish death-metal band Entombed and augmented with their Carcass-loving medical twist – perfectly sums up General Surgery, and Corpus In Extremis continues down that same scalpel-littered road with no anesthesia in sight. Self-produced at Off Beat Studios in their hometown of Stockholm and mastered at Tailor Made by Peter In De Betou, Corpus In Extremis sees the return of bassist Andreas Eriksson and the debut of Erik Sahlström on lead vocals, both of which are sure to bring a number of fresh malpractice suits to the band. For those that need their grinding sickness at audiophile quality, Corpus In Extremis will be available on both CD and LP with slightly different artwork and songs between the two versions. 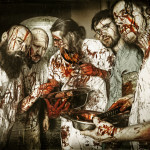 Death metal and grindcore fans should look forward to March of 2009 and Listenable Records, because General Surgery are just what the pathologist prescribed.